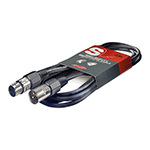 AC-SAC6PSXM This Stagg 20ft Jack - Male XLR line cable is suitable for recording and in a live setting, featuring great construction at a low price. 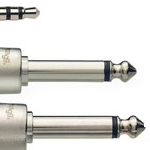 AC-SMC6 The Stagg SMC6 XLR-XLR Microphone Cable 20ft is a fantastic high quality cable, reliable and great sound. 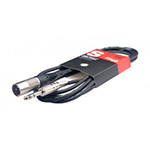 AC-SAC3PSXM This Stagg 10ft Jack - Male XLR balanced cable is suitable for recording and in a live setting, featuring great construction at a low price. 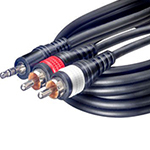 AC-SYC3MPS2CME 3-metre/10-foot stereo mini jack to dual phono cable ideal for a wide variety of purposes. 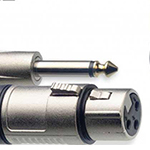 AC-SMC6XP The Stagg SMC6XP XLR to Jack Microphone Cable 20ft is a good quality reliable cable for many uses. AC-MH6AH This strong microphone clamp from Stagg will suit most standard vocal and instrument mics, with a brass mounting thread and thread adaptor for your stand. 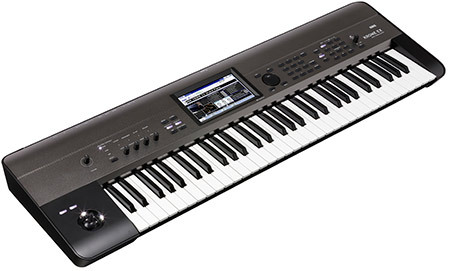 AC-SMC3 The Stagg SMC3 XLR-XLR Cable is a good quality 10ft cable for use on stage or in the studio. 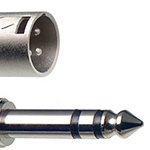 Cable is complete with quality 3 pin XLR connectors with internal strain relief. 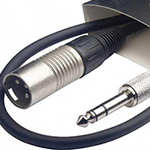 AC-SMC3XP Standard 3m/10ft Mic cable, Female XLR - 1/4" Jack. 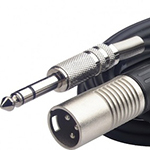 AC-SAC10PSXM This Stagg 33ft Jack - Male XLR line cable is suitable for recording and in a live setting, featuring great construction at a low price. 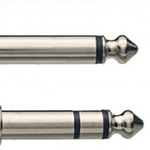 AC-SGC10DL Stagg SGC10DL Unbalanced 1/4 inch jack to jack instrument cable with metal plugs. 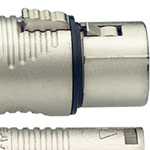 AC-SMC10 The Stagg SMC10 XLR-XLR Microphone Cable 33ft is a high quality microphone cable at an affordable price. 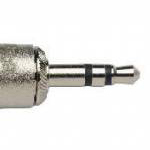 AC-SMC10XP This 10 metre Stagg XLR-Jack Microphone Cable is a top quality, reliable cable great for stage or studio use. AC-SAC1MPS High quality and durable mini jack cable for all your AUX needs. 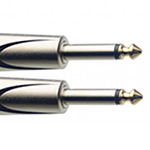 AC-NAC3PSXM The Stagg NAC3PSXM is a professional balanced audio cable ideal for use connecting keyboards or audio interfaces to studio monitors. 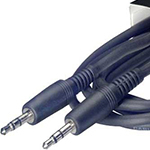 AC-MDC-6 PH 6 metre long MIDI lead 5pin - 5pin connector for connecting MIDI devices such as keyboards. 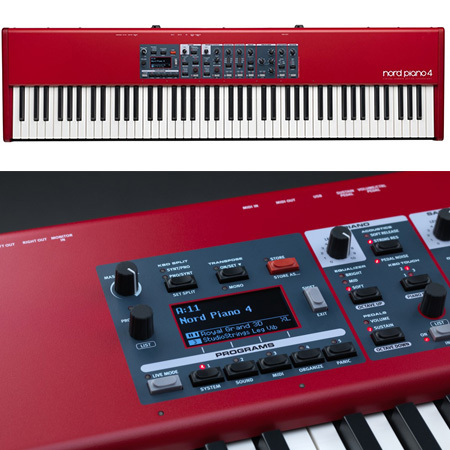 AC-PC-0.1PLPLMH Connect all your favourite pedals easily and neatly with this high quality 10cm patch lead. 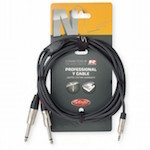 AC-NYC2MPS2PR This 2 metre professional cable from Stagg features high quality Neutrik Connectors; 1 x Mini Stereo Jack - 2 x 1-4 Inch Jack plugs. AC-NYC3MPS2CMR This high quality 3 Metre professional Stereo Mini Jack - 2 x Phono lead features Neutrik Connectors - perfect for hooking your laptop up to a stereo or similar. 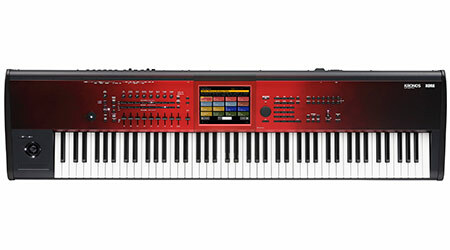 AC-NAC6PSXM The Stagg NAC6PSXM is a professional balanced audio cable ideal for use connecting keyboards or audio interfaces to studio monitors. 20ft length (6 metres).